Hello there, I am over on the Hero Arts Blog today sharing a look at the new My Monthly Hero Kit which is out on Monday (2nd October 2017). What a fabulous kit and I especially love the stamp set which has lots of little images that you can use to build scenes. 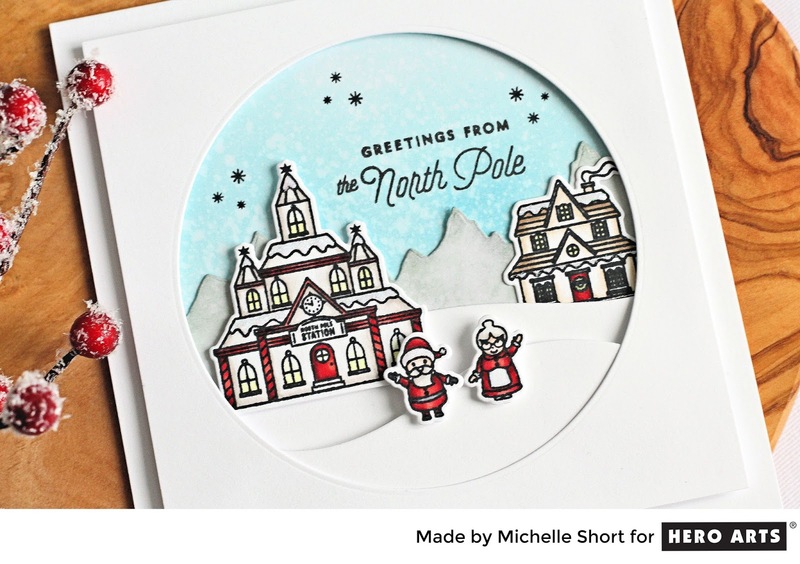 I decided to create a little North pole scene for my card today. Please head over to the Blog Post for more details on how I made it. Thanks so much for visiting me today. I hope you have a great weekend! I want to step into your North Pole scene, Michelle! What a sweet array of images that have my festive spirit soaring! Love this! Love your card Michelle, so cute!! Have a great weekend too!! That's an adorable winter scene.